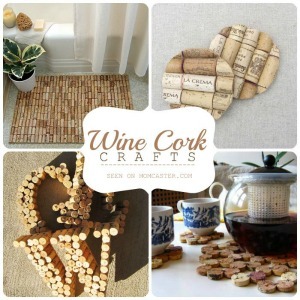 7 Beautiful Kitchen Crafts - Kitchen Crafts That are Truly Beautiful! My kitchen is the size of a clown car. 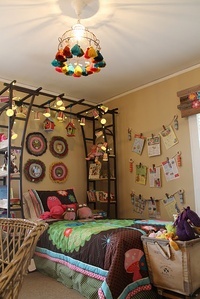 Still, something happens to me when I see beautiful kitchen crafts. I start to believe that I’m actually capable of using a hot glue gun and whipping up extraordinarily beautiful kitchen crafts that would cause visitors to weep at my talent. What actually happens is I wind up with my fingers glued together, lace stuck to my eyebrows, and glitter in places glitter should never be. 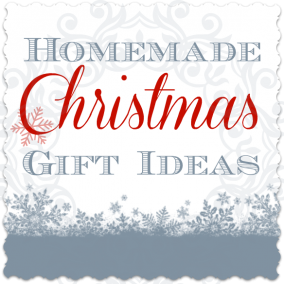 7 beautiful kitchen crafts you should make – because we both know I won’t. 2. Every yard sale I go to (and I go to a bazillion of them every year) almost always has three things in common: damp stuffed animals sitting on the ground, a woman running the show who has smeared make-up from the night before all over her face, and a box full of mismatched eating utensils. 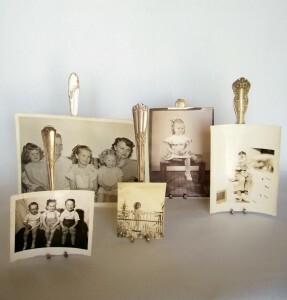 How cool would I be if I made these crazy cute crafts from old silverware found on Whimsy Love? The answer is: I would be crazy cool. 3. I don’t have a baby because I’m almost one-hundred years old. 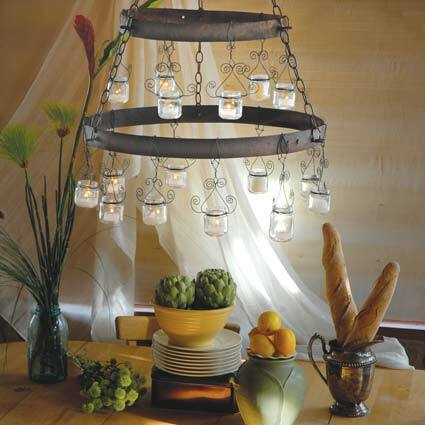 But this baby food chandelier from Natural Home & Garden makes me want to be friends with one – just so I could talk them out of their baby food jars. I could do it, too. Babies are gullible. 4. 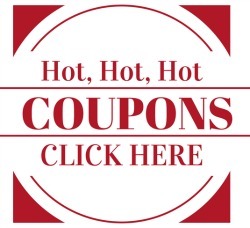 I dig word art. 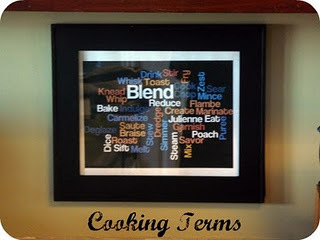 The Mostly Food & Crafts blog found a cool online tool and made this awesome Cooking Terms word art photo. If I do it for my kitchen though, I’ll have to add a few words. 5. One time, long ago and in a marriage far away, my ex-husband used All Spice in the pot roast he made. “What?” he said bewildered when my gag reflex kicked in at the taste of beef and gingerbread cookies. “Doesn’t ‘All Spice’ mean it has every spice in it?” That’s not why I divorced him, but it should have been. 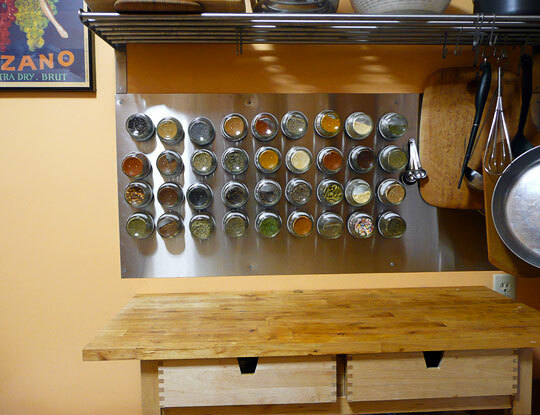 This DIY wall-mounted magnetic spice rack from Kitchn is awesome. Maybe my next husband will make it for me. 6. 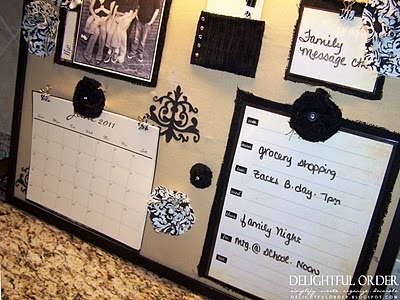 Delightful Order is the creator of this Everyday Message Board she made for her kitchen command center. I’m in love – partly because this is so cool, but mostly because I love to command people and things as often as possible. 7. 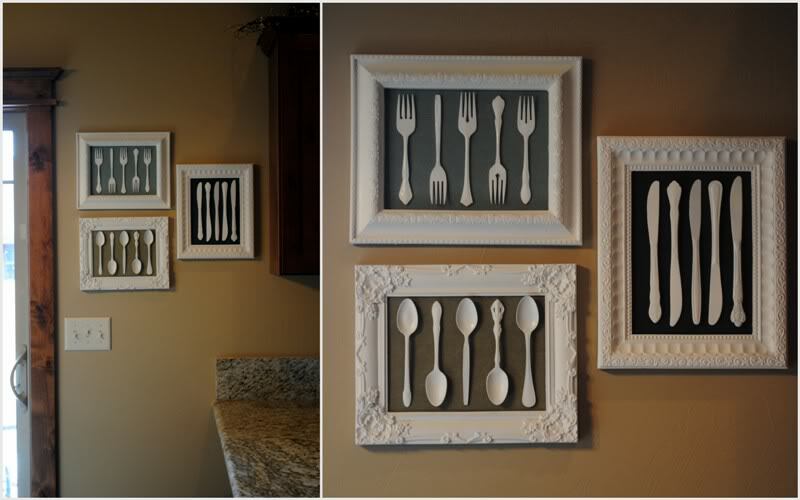 I am NUTS over this utensil art from One Month to Win It. 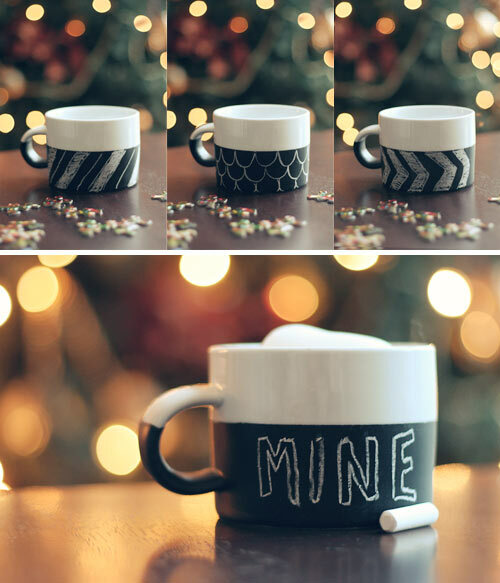 Made from thrift store finds, this kitchen craft screams beautiful. I want to haz it.